Americans who want to own a horse this year should know that annual overhead expenses may cost almost $2,000, but this amount could easily increase with veterinarian bills and health supplements among other expenses. If you plan to buy a horse, you should also consider the price of equipment such as saddles and headstalls apart from the upfront cost of a steed. Some horses only cost $100, but purebred race types can cost at least $10,000. Food accounts for a majority of daily expenses, while recurring expenses can cost up to more than a hundred dollars once or twice every year. Horse owners should expect to spend at least $6 daily for a full stack of hay, but this is a conservative estimate if your horse eats a lot. Mineral supplements also cost $30 for a six-month supply, while feed grains and concentrates may cost the same every month. Dental fees and vaccinations cost around $220 every year. If your horse becomes sick, taking it to a veterinarian will incur extra charges. This means that you could spend more than just $2,000 per year depending on the frequency of illness. Take note that you would also have to build a stable for your horse, hence requiring land and likely causing you to pay real estate taxes. Your location also affects the overall price of ownership. Those who live in places where horses are popular, such as Florida and Kentucky, might spend more than horse owners in other states. Keep in mind that it’s more affordable to keep horses in places with spacious land, where they can freely graze and have their daily exercise. Insurance coverage for your horse increases the cost of maintenance, especially if you train it for competitive racing events. If you’re a first-time owner, it’s best to spend the highest possible amount on a young one. This makes training and correcting behavioral problems much easier for you. Expect a $100 or even $500 horse to have some problems, which are the reason for selling it. Try to purchase one starting from a price of $1,500 up to $3,000 since this somehow ensures the level of care provided to the animal. Don’t fall for the so-called free horse, as it will probably be expensive to take on the problems encountered by the previous owner. Casual horse-back riders with limited budget should just consider renting or leasing a horse. This is a more economical choice than choosing to buy a cheap one. Or you could simply look for centers that need volunteers for taking care of horses if you don’t want to spend anything at all. Owning a horse is quite the same as having a pet cat or dog, but the only difference lies in daily maintenance. 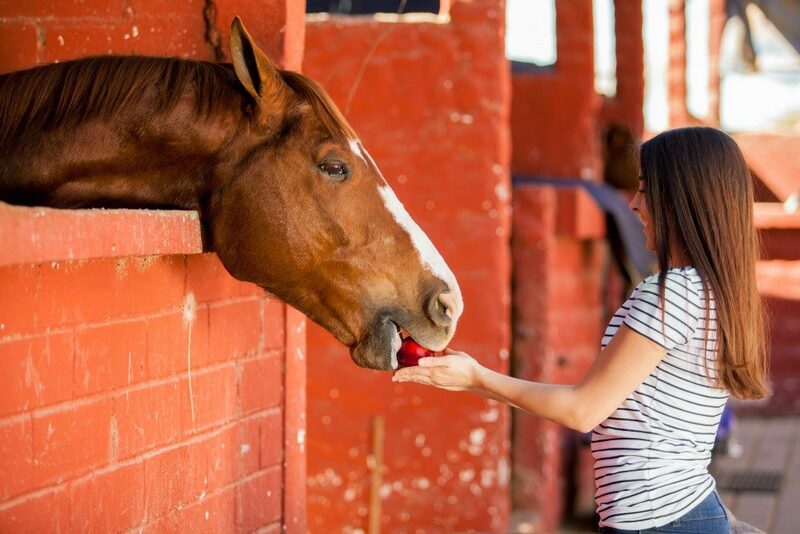 Horses need more frequent maintenance not just concerning their diet and health, but also about their living conditions. Ask yourself if you can devote time every day to take care of a horse before planning to buy one.